My interest in Aromatherapy began over 20 years ago…as many who seek alternative therapies. I began using essential oils for common ailments: headaches, colds and flu, and then I found myself reaching for essential oils for many other issues in particular - addressing the emotions. This was back in 1990, and there really weren’t many resources to buy essential oils at all. I started with just one Aromatherapy book in my library and used this as an Aromatherapy bible ( as many of us do) so to speak, finding recipes to help with many of these common ailments. Since then, the aromatherapy world has grown tremendously, and now I have become one of the resources for others seeking alternatives, just as I once did. Because I am a teacher, I feel that an integral part of my mission is to share my passion, knowledge, and experience with those who may not be aware of the incredible benefits of using essential oils therapeutically, medicinally, emotionally and energetically. 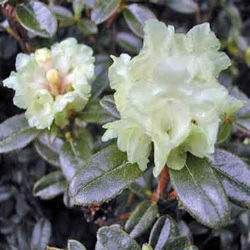 In October of 2009, I was looking for one particular essential oil - Rhododendron (Rhododendron anthopogon). On the emotional spiritual plane, this is my go-to oil ... I use this oil to assist in bringing joy to oneself and to get out of one’s own way. I found the most amazing distiller in Nepal. This was the beginning. After finding Kailash, I searched and connected with one distiller after another all over the world. I am fortunate to have found these distillers, the direct source from which the essential oil comes. I began importing my particular favorite oils and before I knew it we had over 170 pure therapeutic quality essential oils. I found it so interesting that it was our search for Rhododendron to be the catalyst for the birth of Stillpoint Aromatics. My quest was to find the purest therapeutic quality essential oils that I have ever experienced. And I can say honestly that I feel that I have accomplished this! All of Stillpoint's essential oils are truly beyond awesome. No other substances natural or unnatural have been added, the oil is truly and exclusively from the plant that it claims to be. It is the life force of that particular plant. In addition, all of Stillpoint's essential oils are stored in cold storage to ensure freshness and reduce oxidation. I have great respect for and honor the plant, the farmer, the growing season, the distillation process, and the essential oil. My personal mission is to bring the purest quality essential oils to you at a fair and reasonable price. Please keep in mind that I did not look for the “cheapest” oils that I could find. I hold the belief that it is worth paying a bit more for a certain essential oil because of the high vibration and purity of a certain oil. For example, before deciding on Angelica Root from France, I sampled over 6 different Angelicas from various locations. The same holds true for the St. John's Wort, Frankincense, Myrrh, Yarrow, and Eucalyptus Globulus (from Corsica) to name a few…that I have decided to add to our line. I really am very proud of the oils I have chosen to bring to you and hope that you will feel their special qualities as well. All of Stillpoint's oils are either certified organic, wild harvested, unsprayed, bio-dynamically farmed with the rhythms of the earth and or vintage. They are exquisite and I am beyond honored to be able to offer them to you. So please join Me in the amazing world of Aromatherapy and Experience Transcendesssence. V.Joy’s first passion is teaching. With a Master’s degree in education, she has been teaching for the past 34 years. Joy taught fifth grade in New York for 10 years. During that time, she acted a turnkey teacher and liaison to Columbia University Teacher’s College to help train the teachers in her district in the Teaching of Writing. After leaving teaching, Joy moved to Florida where she ran a successful tutoring business helping students from Kindergarten to college. It was during this time that she received formal Energetic and Mystery school training. For 7 years, she traveled back to New York for 6 months of the year to study with her spiritual teacher. Upon moving to Sedona, Joy enrolled in the massage and hydrotherapy program at the Arizona School of Integrative Studies. After graduating, she co- founded Stillpoint…Living in Balance, Therapeutic Massage and Energetic Balancing practice. Joy is a board certified licensed massage therapist and incorporates her expertise in energy medicine and clinical aromatherapy into many of her sessions. V. Joy’s love and passion for essential oils began over 30 years ago. It is this love that lead her to co found Stillpoint Aromatics where she imports over 400 certified organic, wild harvested and unsprayed essential oils, hydrosols, and resins from small distillers world wide. She searches the globe to find the purest and highest vibratory oils available. V. Joy and her select team members had pour each bottle with conscious intention upon receiving an order. After many years of self-study and over 400 hours of formal training, all has come full circle. VJoy is a Certified Clinical Aromatherapy Practitioner and is once again teaching, writing, and lecturing. 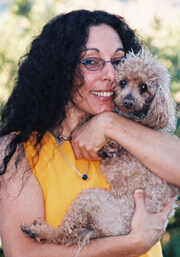 She is the founder of Virginia Joy... Institute of Aromatics, Emotional Wellness, and energetics. V. Joy has just received her certificate in traumatic grief counseling.